Spoiler Level: I’m reviewing an adaptation of a 30-year-old musical based on a 150-year-old book. Nonetheless, I’ll do what I can. Les Misérables, the new film version of the highly successful stage musical, is nearly three hours long. Victor Hugo’s 1862 novel, on which the musical was based, is about 1,400 pages long. The story covered by Les Misérables takes place over a period of roughly 17 years. The experience of watching it all play out feels—you guessed it—even longer still. Mere weeks ago, I dreamed a dream in which The Hobbit would be the most unendurable Hell I would face in a movie theater this year, but director Tom Hooper’s overly literal, excessively bombastic, painfully tone-deaf film has killed that dream—along with three hours of my life, my love of musicals, and a good portion of my will to live. There are dreams that cannot be, there are storms we cannot weather, and there are films—like Les Misérables—we simply cannot endure. For the record, I went into Les Misérables without a love for either version of the source material, but with an open mind: I haven’t seen the stage version, I’ve never listened to the cast album, and—though I probably pretended differently back in my lit major days—I’ve never even read the novel. 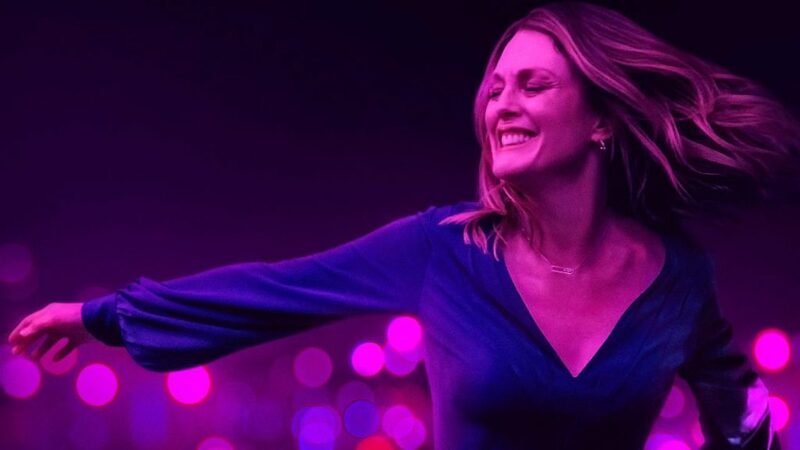 However—unlike my partner, The Unenthusiastic Critic (who, about 20 minutes into this film, would have been rummaging in her purse for something sharp with which to puncture her own eardrums)—I happen to like musicals. I was secretly looking forward to Les Misérables, and mentally reserving a spot on my forthcoming Best of the Year list in case it turned out to be as good as it looked. Let us dispense with plot summary, for the uninitiated. The film opens with Jean Valjean (Hugh Jackman), prisoner #24601 in the port prison of Bange de Toulon, under the watchful eye of stern Inspector Javert (Russell Crowe). Valjean has served 19 years of hard labor for stealing a loaf of bread to feed his starving nephew, but Javert has no sympathy for him: “You will starve again unless you learn the meaning of the law,” Javert says—or sings, rather. (The aforementioned uninitiated should be warned: no one talks in Les Misérables: they only sing…for 157 musical minutes.) Valjean is released on parole, but with a criminal conviction hanging around his neck he can’t get an honest job, so quickly resorts back to crime, stealing silver from a church that has given him shelter. When the kindly bishop (Colm Williamson—who originated the role of Jean Valjean in the English-language stage version) forgives this crime and makes a gift of the silver to the starving man, it allows Valjean to turn his life around and set up a new identity as a successful businessman. It is as a business owner that he encounters Fantine (Anne Hathaway), who is wrongfully fired from her job as a seamstress in Valjean’s factory and forced into a life of prostitution to feed her young daughter Cosette (played as a child by Isabelle Allen). Feeling responsible for this turn of affairs, Valjean decides to commit to providing Cosette a better life, buying her away from the reprehensible innkeepers (played by Helena Bonham Carter and Sacha Baron Cohen) with whom she has been living. Unfortunately, around this same time, Valjean also runs into Javert, who recognizes him and forces him to flee with Cosette and go into hiding once again. Several years later, Cosette (now played by Amanda Seyfried) meets and falls instantly in love with Marius (Eddie Redmayne), a well-born young man who has sworn off the bourgeoisie and taken up with revolutionary forces. With the ubiquitous Javert in pursuit of both Valjean and the revolutionaries—he is apparently the only cop in France, after all—the final act plays out against the Paris Uprising of 1832, with much swooning and pathos and waving of banners. Oh, and they all sing everything: did I mention? But I would almost certainly have enjoyed the musical more on stage, or in a puppet theater, or in any version that was not directed by Tom Hooper. The history of stage musicals on film is not a proud one, and there’s a reason for that: the delicate theatrical alchemy that makes us accept the conceit of characters who sing their thoughts aloud is difficult to reconcile with the matter-of-factness of film, and Les Misérables doesn’t even come close. Hooper won an Academy Award for the harmless, crowd-pleasing The King’s Speech a couple of years ago, but his limited talents are sorely tested by the scale and challenge of this material. There is absolutely no subtlety or imagination in his direction—he is the unquestioned master of the medium close-up, but this is a highly dubious honor—except when he decides to swoop the camera around, or cant it at an arch angle, for no apparent reason. Some of the larger set pieces, like the uprising in the third act, were no doubt huge and spectacular on stage, but here Hooper combines the limited, stage-bound blocking of a theatrical piece with an attempt at cinematic scale (with poorly used computer-generated backgrounds and crowds). The result makes these “big” scenes seem small and oddly trivial on-screen. Much has already been made of Hooper’s decision to have the actors all sing their roles as they act them (as opposed to the traditional method of pre-recording the songs and then lip-syncing the performances). It’s a lovely idea: by marrying the music to the acting in this way, it should—in theory—allow for capturing the honest immediacy of a stage performance with the intimacy and closeness that only film can achieve. However, it does his cast no favors here. Note to future directors of screen musicals: take Hooper’s lovely idea, and employ it with actors who can actually sing. So, the pleasant exceptions: the first is Samantha Barks, who has the regrettably small role of Éponine, the daughter of the odious innkeepers who harbors an unrequited love for Marius. A 22-year-old stage actress making her film debut, Barks played the role in London, and her brief scenes in the second half of the film—and her touching rendition of one of the better songs, “On My Own”—demonstrates to the rest of the cast what a tremendous difference it makes when you actually know what you’re doing. Every time she appeared, I kept wishing that the story had been about Éponine, or else that Barks could have somehow played most of the other female roles in the film. The other exception, of course—as you have no doubt already heard—is Anne Hathaway, who is simply stunning in another all-too-brief role. Hathaway’s rendition of “I Dreamed a Dream” is not only the best musical number—by a country mile—but is three minutes or so of some of the best acting I’ve seen all year. 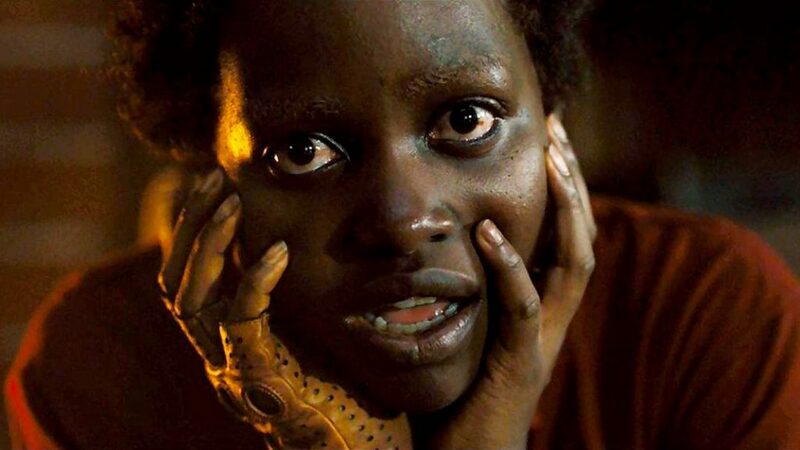 I expect some viewers will find her performance a little too emotional—even melodramatic—but there’s really no other way to go with this material, and if Hathaway’s rendition seems out of place here it’s only because it’s a world apart from the shallow, surface-level pastiche that is the rest of the film. 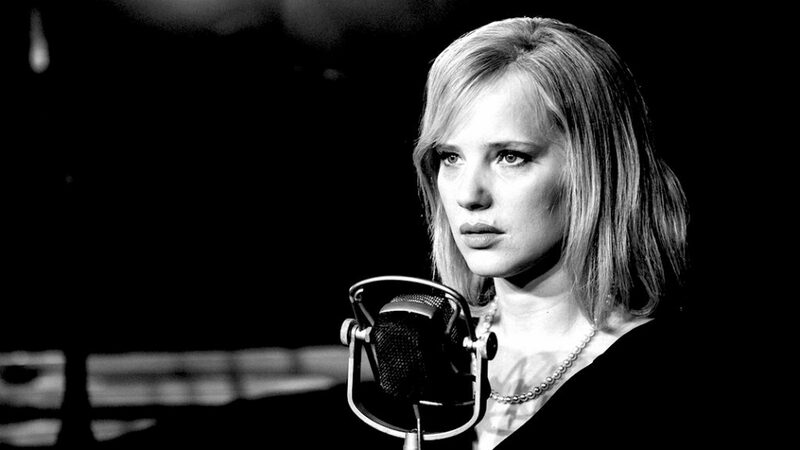 It’s the perfect example of what the live-singing experiment should have yielded: a raw, intimate, heartbreaking performance that could only be achieved in the film version of a musical. It helps that Hooper—for basically the only time in his career—has the good sense to just put the camera on her and leave it the hell alone: he clearly realized that the best thing he could do here was to sit back and capture this magic, without interfering, and then put it in the trailer and try to convince the world that the rest of the movie was as good. But the rest of the movie is nowhere near as good, and—since this song comes about half an hour in—it’s an early triumph that makes the long slog through the rest of a horrible film that much worse in comparison. Three good minutes out of 157 do not make for a good return on investment, so I can’t recommend the movie, but try to catch the scene when someone inevitably posts it to YouTube. Heartfelt, honest, and staggeringly moving, it’s the perfect example of what Les Misérables could have been, and should have been, and yet so tragically fails to be. He got chased through the sewer. I am going to suggest a Grease and Grease 2 evening for you and N. Your description of Anne Hathaway’s movie-stealing reminds me very much of Pfieffer’s amazing “Cool Rider” (see avatar). Though, I suppose you will now say you have never seen Grease 2. And to think I used to allow you to tell me to put my whiskey in an opaque container. Pfft. I have a bias: I like musicals that are good stories, which happen to have songs: Grease is one of those shows that’s a collection of songs with a bare bones plot to make it a story. It’s not a show, it’s a greatest hits album. but isnt les mis a fantastic story? i saw it tonight, cried about 10 times, and the voices are not bad at all, its the SONGS that are pretty mediocre. There are about 2 great songs, the rest had me wonder why they are singing at all, it takes longer to say what they need to say, so it was a bit tedious sometimes, but other than some dodgy focus pulling, I thought it was a great production and I, an atheist, was touched by it.